Jessica Biel posted a video of an impressive acrobatic move with a graceful landing on her Twitter account on Aug. 9. In one day, it received nearly 500,000 likes, and 5,000 comments. 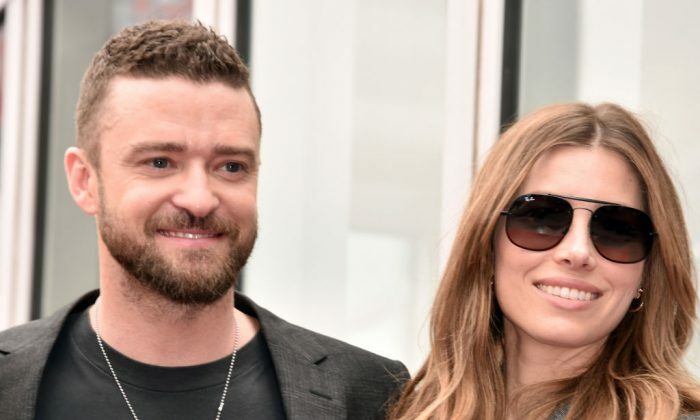 Viewers were not only impressed by her skills, but also by the support from her husband, Justin Timberlake. Timberlake effortlessly lifted her up with two hands into a hand-stand position. Shortly afterward, she had the perfect landing while he was cheering and laughing on the side. Biel and Timberlake’s close teamwork and loving relationship is clearly noticeable in the video. They’ve known each other for eleven years, were married in 2012, and they have a three-year-old son Silas. The clip was shot inside a hotel room in Copenhagen, Denmark, which is one of the stops of Timberlake’s new “Man of the Woods” world tour, according to People. At the end of the four-minute video, Biel shows up again, dancing and walking with Timberlake toward the woods. It’s like watching the happy ending of a fairy tale—and fans certainly hope the couple will live happily ever after.